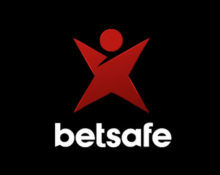 Betsafe – Game of the Week: Coins of Egypt™! Spin the reels for big rewards! Get up to 250 Free / BIG Spins and win a share of €10,200! 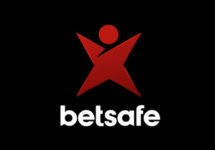 Do not miss a week of extra rewards and an exciting tournament at Betsafe. Play the new exclusive Netent slot Coins of Egypt™ until Sunday midnight to collect a huge amount of Free Spins and BIG Spins. Wager throughout the week on desktop or mobile to earn up to 250 Free / BIG Spins while at the same time taking part in a tournament where the TOP100 will win bonus prizes of up to €500. Leader board position is determined by the highest average earnings over any 20 consecutive spins irrespective of the bet size, making it fair to low and high rollers alike. OPT-IN on the promotion page and play on the game of the week with minimum €0.20 per spin. Get one of the highest average earnings over any 20 consecutive spins and finish in the TOP100 for a share of €10,200 in bonus cash. This week’s tournament will end at 23:59 CET on 15th April 2018 and prizes credited the following day as bonuses with a 35x wagering requirement. Bonus terms and conditions apply.